At the end of October and end of November 2017, AlertMe and British Gas will be closing down their servers based on the original AlertMe platform. This will include AlertMe Energy, AlertMe Security and British Gas Safe & Secure. Beyond this time the existing configuration on your Hub will continue to work, but there will be no more email, phone or text alerts and no further logging or configuration changes can be made to your system. This largely renders the system unusable for all but pre-programmed actions (eg. button presses triggering SmartPlugs). As a user of one of these platforms you should have received an email from AlertMe or British Gas, potentially offering you some free Hive equipment. Hive is another home automation product based on the AlertMe platform. Check your email for a message titled "Goodbye AlertMe. Hello Hive." or "Information about your Safe and Secure products". 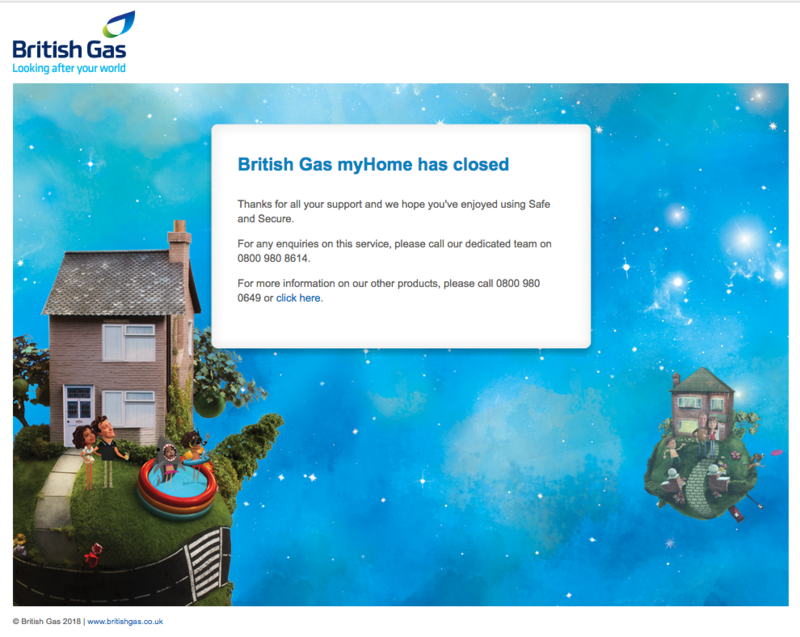 The message should have been sent to the primary address associated with your AlertMe or British Gas account. Alternatively, contact AlertMe on support@alertme.com or call British Gas on 0800 980 8614. Something to note is that most AlertMe devices, such as your motion sensors, keyfobs, door/window sensors, alarm sensors, lamps and in-home displays do not work with the Hive system. Though it is technically possible for the Hive platform to support them, they have chosen not to do so. The exception is the SmartPlug which continues to work as a repeater module to extend the system's range, but is no longer remote controllable. Please do not discard your AlertMe Devices! For those who are willing to get their hands dirty, there is a effort to allow people to re-use their AlertMe devices using XBee controllers and open source software. If you are interested, please check the Hardware and Hacking section of this site. If you're not interested, please consider selling your devices, either directly to one another through the Marketplace board on this site, or through eBay. This should make sure that people who want to work on opening up the platform have enough equipment to be able to work with. And...it's gone! Alerty's showing the expected 'no response' message as of today (4DEC) and the Web UI for S&S is saying it's closed. Good luck to anyone home brewing their own solution - and thanks for Alerty! Wowsers, yes, that's the end in the UK! Lowes Iris is still up and running in the US (no sign of that closing) but in the UK the Hive platform is knowingly not supporting those original devices. I'm thinking of getting hold of an Iris base to do some testing with, but I'm rather enjoying running my own 'hub' with the PyAlertMe library. It's lacking polish if you're not used to Python, but it certainly works! Just out of interest - What's the expected behaviour of S&S 'locally', now that the plug has been pulled? I was under the impression that you'd still be able to arm/disarm, but 24hrs after posting the above the key fobs have stopped working (no noise on any of the fobs and no interaction with the hub). Just out of interest - What's the expected behaviour of S&S 'locally', now that the plug has been pulled? I was under the impression that you'd still be able to arm/disarm, but 24hrs after posting the above the key fobs have stopped working (no noise on any of the fobs and no interaction with the hub). I was told this for the original AlertMe system as well, but it would appear that as soon as the Hub attempts to auto-update its configuration (which happens every 24-48 hours, it would seem) the original config is lost and due to there being no server to talk to, no replacement is ever loaded, putting the system into limbo. I was never able to get anything to work with the Hub again after that point. Oh wow, that's considerably worse than I was expecting! And I guess a hard reset of the hub is pointless as it won't be able to load the configuration? Exactly - the Hub really does rely upon that external server to handle all of the configuration, mainly because it was all done through the web interface. If you could talk to the Hub directly it might have been a different deal, but that was never something that was developed. You've got two options to continue using the same devices now; either get hold of a Lowes Iris hub from eBay, reset the devices and pair them up to that (which should work - I've never tried, but I believe they're compatible) or roll your own with the PyAlertMe library - but that's a considerable amount of work.